What makes a campus beautiful? It’s hard to say. 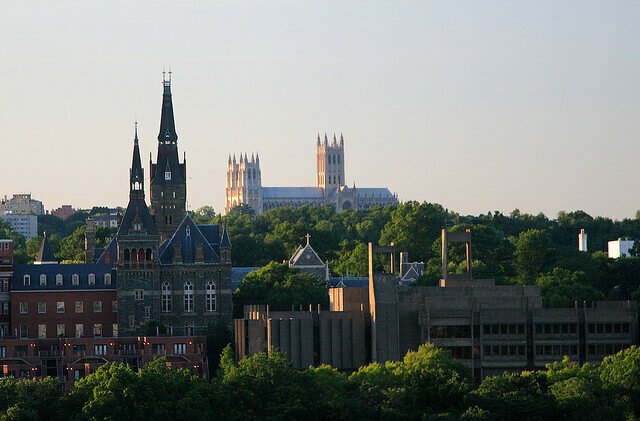 But some combination of nice weather, a great location, stunning architecture and an electrifying atmosphere landed each of these schools on our list. They’re gorgeous, not only because of their perfectly manicured campuses, but also because of the life the students bring wherever they congregate. Bottom line: you wish you went here. 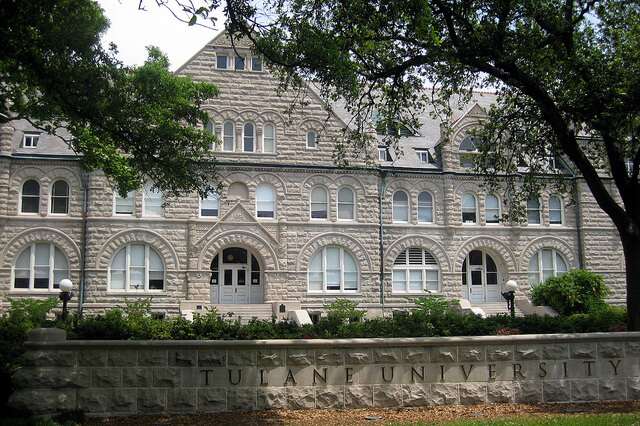 Tulane University in New Orleans is a mix of the old and new, featuring Renaissance to modern architecture. 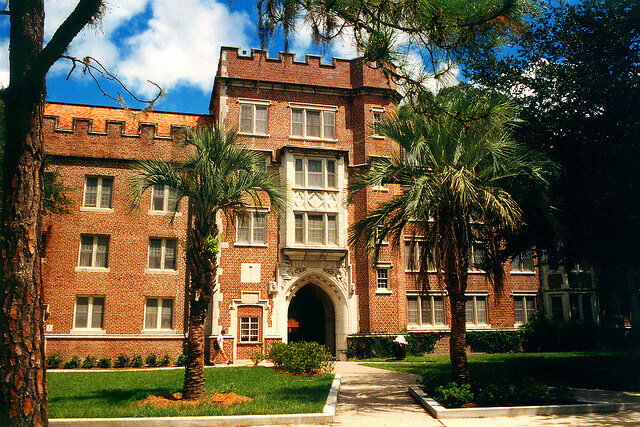 Large live oaks and plenty of quad space characterize the campus. Plus, it’s right across from a park, which includes a zoo and a golf course. What more could you want in terms of beauty? 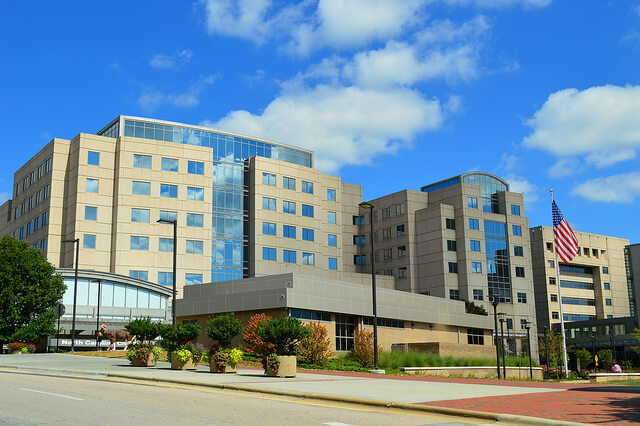 “On campus, I really enjoy studying on the patio connected to Joseph Merrick Jones Memorial. It is secluded from the rush of campus life, and the fountain and white rocking chairs are soothing—plus it’s across from the library. If I really need to get off campus, I head straight to Audubon Park to watch ducks and pet dogs. But if I’m hungry—people watching at The Dough Bowl is the only way to go,” said junior Kirsten Nicole. 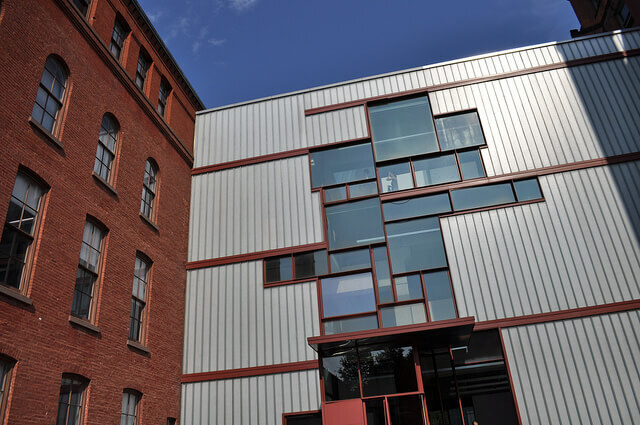 Ranked in the top 10 U.S. colleges with the best architecture by Architectural Digest, Pratt Institute is a specialty college in art, design and architecture. You’d expect a design school to have a beautiful campus, and Pratt does not disappoint. Its blend of building styles and its Brooklyn location give it the perfect balance of classic college atmosphere and city excitement. “Personally, I think what makes the campus so beautiful is that it’s kind of an oasis within the city. When you’re on campus, you don’t even feel like you’re in Brooklyn. Also, the fact that the campus is so full of artwork makes it ever more unique and beautiful. My favorite spot on campus has to be the library, as it’s so beautifully designed and antique—all of the floors are Tiffany glass from the late 19th century—and as an architecture student I find myself to be enveloped in the history of both the school and the city when I’m in the library,” said Pratt sophomore Elysse Irizarry. 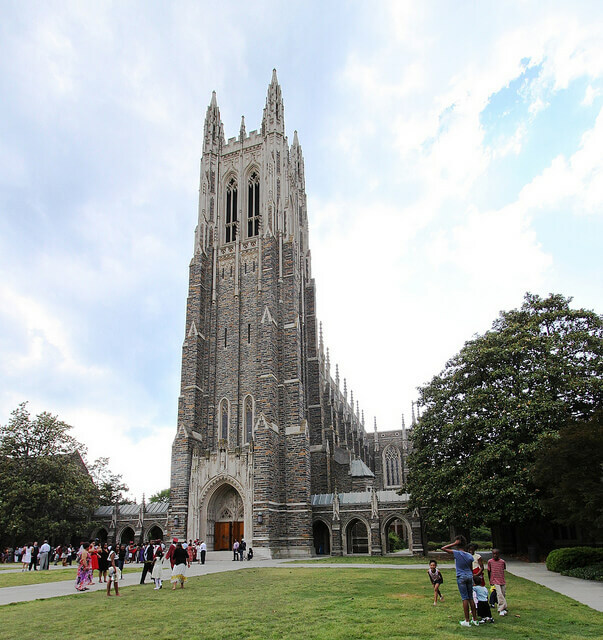 Called the “Gothic Wonderland” by students, Duke University has that classic college atmosphere—beneath the soaring spires of the Duke Chapel, you feel like you’re getting the real college experience. “I think what makes my campus a beautiful place are all the hidden nooks that are spread across the school, especially when they are places where I study and work, because it helps me take a step back and appreciate where I am. My favorite spot on campus is in the Duke Gardens, where you can perfectly see the sun setting against the chapel. There are forested areas that frame the image,” said sophomore Sunny Zhang. Sitting right on the Sarasota Bay, New College of Florida is the honors college of the State University System of Florida. 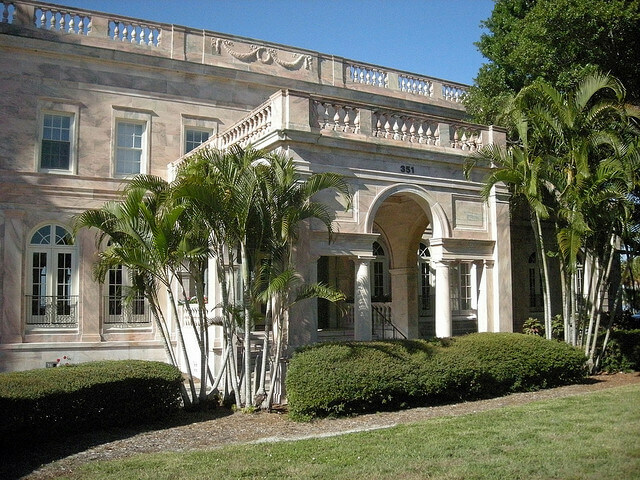 The most unique area of campus consists of three mansions previously owned by the Ringling Brothers. The graceful houses now function as classrooms and offices—who wouldn’t want to go to class in a huge pink mansion and then study on the beach? “I think the best part about the campus is being on the Sarasota Bay. It’s just a short walk from the dorms, and you get to pass the native plant restoration area on the way. It’s usually a pretty quiet place and gorgeous at every time of the day, so it’s perfect for relaxing,” said sophomore Jessica Withers. Palm trees and Spanish moss are just a few things that make the University of Florida a beautiful school—it also happens to be the center of Gainesville, a quintessential college town that boasts plenty of interesting shops and a thriving music scene. “My campus is beautiful mainly because of the people. The Florida Gators are filled with so much school pride that it’s hard not to appreciate the entire campus. With that in mind, it’s safe to say that my favorite spot is the Ben Hill Griffin Stadium, or as we like to say, the Swamp. The Swamp is a great place to hang out or to exercise, but it’s the best during a football game. The air is absolutely electrifying,” said sophomore Brianna Malcolm. 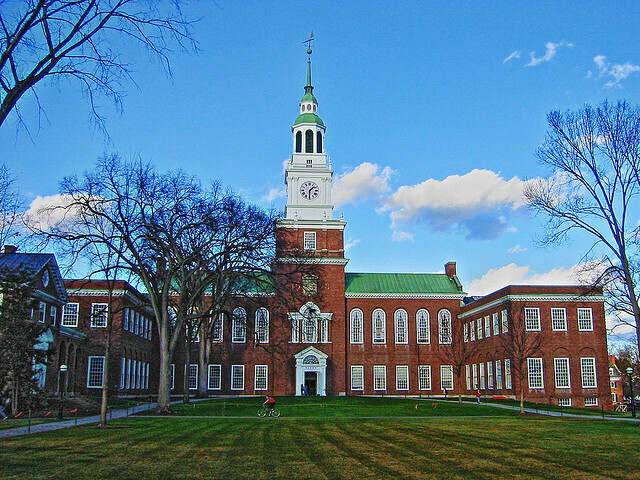 Located in Hanover, New Hampshire, Dartmouth College is the ninth oldest college in the U.S. On campus, you’ll find a large number of American elm trees providing shade and an inviting atmosphere. Ranked no. 6 for Princeton Review’s “Happiest Students,” you’ll definitely want to spend as much time as possible on campus. “What makes Dartmouth’s campus a beautiful place is primarily its location in the Upper Valley region of New Hampshire and Vermont. Being surrounded by placid forests and pastel mountains and being able to breathe in the fresh valley air daily truly makes Dartmouth a campus worthy of envy. It also doesn’t hurt to have the picturesque Connecticut River bordering the west side of campus,” said sophomore Tim Rizvanov. Spirituality and school spirit go hand in hand on the University of Notre Dame’s campus in South Bend, Indiana. The immense Word of Life Mural, nicknamed “Touchdown Jesus” by the student body, is visible from the stadium, and students gather at the Grotto at all hours to pray and meditate. 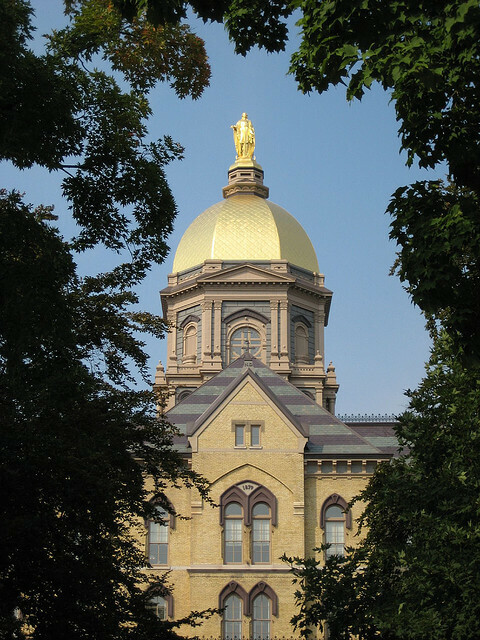 The iconic Golden Dome can be seen from most spots on campus. “No matter what the season, ND always looks beautiful. I love the lakes on campus—such a scenic, tranquil spot one minute away from my dorm. The lakes and the Grotto provide a quiet place to escape to whenever I need some time to relax and reflect,” said senior Denise Tarnowski. Academics at Stanford are rigorous, but the beautiful hills and the striking red-roofed buildings keep campus feeling tranquil. 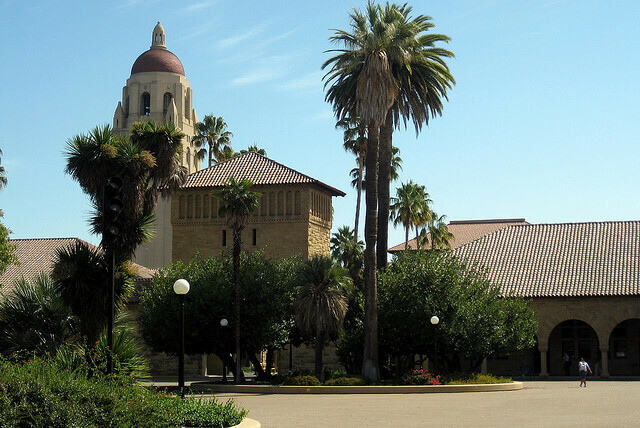 MSN (previously The Microsoft Network) listed Stanford as having one of the most beautiful campuses in the world. Considering the university’s location, its consistently sunny weather and the fact that it feels like a resort, we agree. “Besides the generally sunny and beautiful weather, the people are what bring the campus to life. A few days after winter break began, the sun was still somehow shining outside and the weather was incredible, but I noticed the campus seemed different. It didn’t have the same beauty as it did when you see students and staff everywhere talking about a variety of topics, from their research to classes to new events to plays going on around campus,” said sophomore Gabriella Godines.